Bone marrow suppression refers to a decrease in the ability of the bone marrow to manufacture cells, and is common with chemotherapy. In addition to eliminating cancer cells, chemotherapy drugs eliminate normal cells that divide rapidly, such as those in the bone marrow that form the different types of blood cells. Suppression can result in a reduction in white blood cells, resulting in an increased risk of infections, in red blood cells, causing anemia and fatigue, and in platelets, increasing the risk of bleeding. Blood counts are followed closely throughout chemotherapy to watch for suppression. If present, medications may be used to increase the white blood cell count or transfusions may be given. Chemotherapy infusions may also need to be delayed or stopped, if blood counts drop too low. The red blood cells contain hemoglobin which carries oxygen to every cell in the body, and returns carbon dioxide to the lungs to be exhaled. If there are not enough red blood cells to deliver oxygen to all of the tissues of the body, cell damage and death occurs, a process called hypoxia. A reduced level of red blood cells is referred to as anemia. White blood cells (also known as leukocytes) are the defense system of our bodies, protecting us from bacteria, viruses, and other foreign substances, even cancer cells. A deficiency of white blood cells is referred to as leukopenia. With cancer, you will hear about neutropenia. Neutropenia refers to a deficiency of one particular type of white blood cell known as neutrophils. Neutrophils play a large role in protecting us from bacteria and viruses, and when there are not adequate numbers, we are predisposed to infection. Platelets are responsible for creating blood clots. If we are deficient in platelets, our blood is not able to adequately clot when we are cut or injured. This deficiency if referred to as thrombocytopenia. Chemotherapy is designed to kill rapidly growing cells such as cancer cells but affects all rapidly growing cells. This includes cells in our hair follicles, gastrointestinal tract, and bone marrow. When these cells in the bone marrow are damaged, they are unable to reproduce and become the different types of blood cells. All of the blood cells begin with a common cell known as a hematopoietic stem cell. Through a process known as hematopoiesis, the stem cells "specialize" and become of the blood cells including red blood cells, the different types of white blood cells, and platelets. Since chemotherapy drugs can kill off these "pluripotential" cells that differentiate to form the different types of blood cells, deficiencies of all of the types of blood cells usually occurs. That said, some blood cells can be affected more than others, and the impact of low levels of some can be more serious than others. The symptoms of bone marrow suppression depend on the type of blood cells affected and will be described below under each respective type of blood cell. In general, a deficiency of blood cells results in fatigue and weakness. When looking at your white blood cell count, your oncologist will be concerned not only about your white blood cell count, but your total neutrophil count. Neutrophils are a type of blood cell that are essentially our first responders when it comes to fighting off bacterial infections. An normal absolute neutrophil count is between 2500 and 7500 neutrophils/dL. Depending upon the level of your red blood cells, your doctor may reassure you that your anemia will improve after you are done with chemotherapy, or may recommend treatment with a medication to stimulate red blood cell production, prescribe iron supplements, or recommend a blood transfusion. Anemia is a treatable cause of fatigue, so oncologists watch closely for this during treatment. Unfortunately, there are many causes of cancer fatigue, and anemia is only one of these. A fever greater than 100.5 F.
During chemotherapy, your doctor will advise you to avoid situations that could result in infection, such as spending time with people who are ill or shopping in crowded malls. If your white count is very low, she may recommend that your next chemotherapy treatment is delayed, or prescribe medications to help prevent infection or stimulate the production of white blood cells. Medications such as Neupogen or Neulasta are injections which stimulate the formation and release of white blood cells from the bone marrow. In some cases, they will be given routinely in order to keep your white count normal during chemotherapy. If your platelet count is too low or you have problems with bleeding, your doctor may recommend a platelet transfusion or a medication to stimulate your bone marrow to make more platelets. If you are interested, you can learn more about coping with chemotherapy-induced thrombocytopenia. Learn how to properly wash your hands - Studies tell us that the vast majority of people - even health professionals - don't wash their hands in the best way to stay safe during chemotherapy. 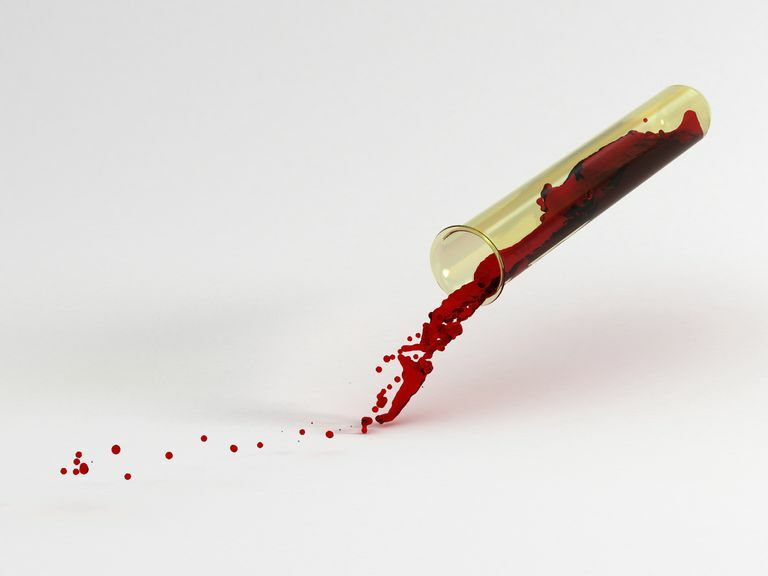 What Information Does a Complete Blood Count (CBC) Give? What Does the Term Combination Chemotherapy Mean?